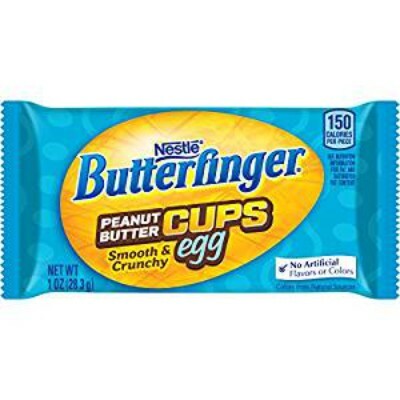 The classic Butterfinger crispy, crunchy, and peanut buttery taste, now in a festive egg-shape for Easter! 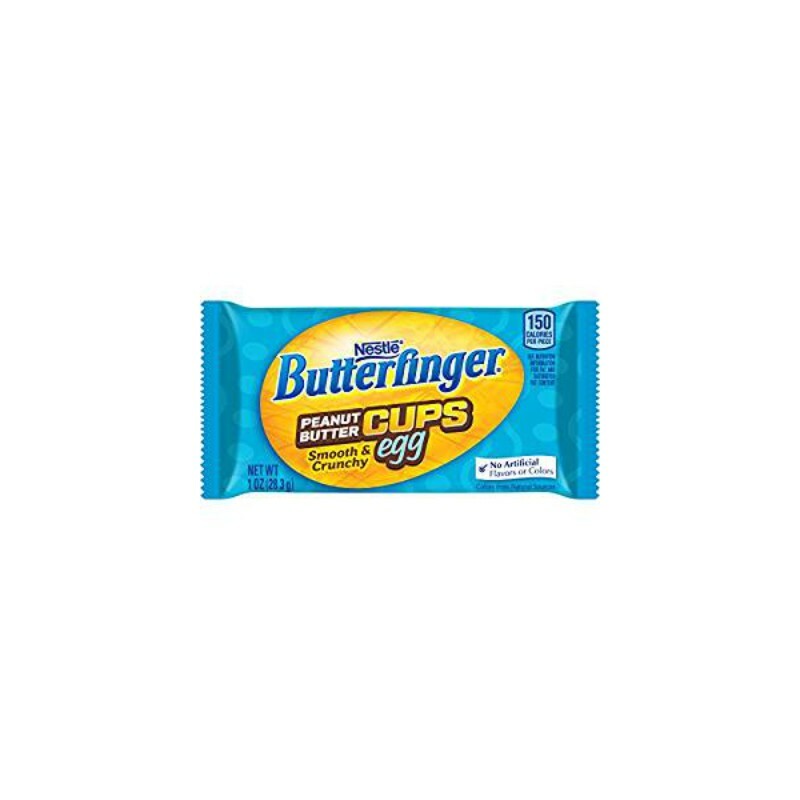 Butterfinger bars feature a delicious crunchy peanut butter flavored center encased in a rich and buttery milk chocolate shell. 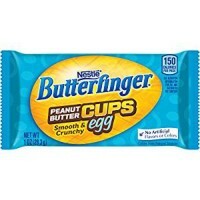 Take an indulgent moment this Easter season to savor the taste of a Butterfinger Egg! Milk chocolate (sugar, cocoa butter, chocolate, nonfat milk, milk fat, lactose (milk), soy lecithin E322, natural flavor), sugar, peanuts, peanut toffee pieces (sugar, corn syrup, palm oil, peanut butter [peanuts, salt, hydrogenated rapeseed and cottonseed oils], peanuts, butter [cream, salt], salt, color E160c, soy lecithin E322), palm kernel oil, hydrogenated palm kernel oil, less than 2% of: milk, nonfat milk, salt, hydrogenated palm oil, hydrogenated cottonseed oil, hydrogenated rapeseed oil, hydrogenated palm kernel oil, natural flavor, soy lecithin E322, soybean oil, antioxidants E319-E330 (to preserve freshness), colors E160b-E160c. May contain nuts. Contains GMO. Nutrition facts (for 100g): calories 530Kcal, total fat 31.8g (saturated fat 21.2g), total carbohydrate 56.5g (sugar 53g), protein 7.1g, salt 0.7g.